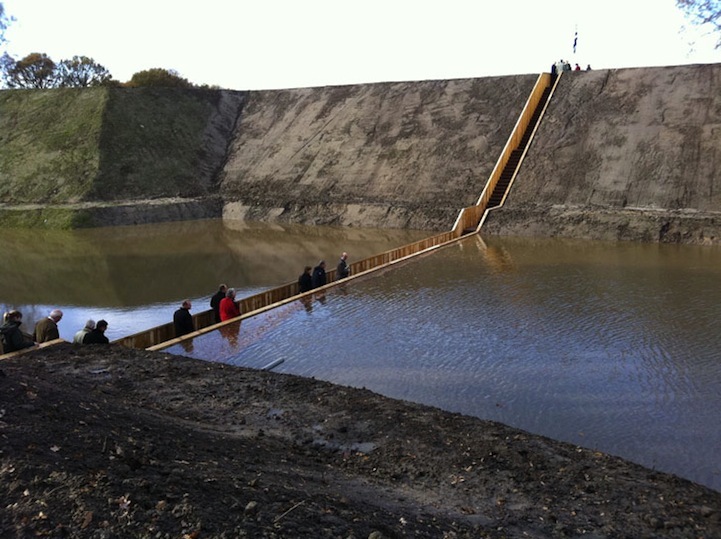 In the Netherlands, RO & AD Architects designed a unique bridge to cross a moat at Fort De Roovere in Halsteren [page in Dutch]. RO & AD architects found it really strange to create a bridge over a canal of a fortification. Especially because the bridge must be built on the side where traditionally the enemy was expected. Therefore, RO & AD architects created a bridge that is not visible from a distance…. More photos and information at Architizer, My Modern Met, and de Architect [page in Dutch].